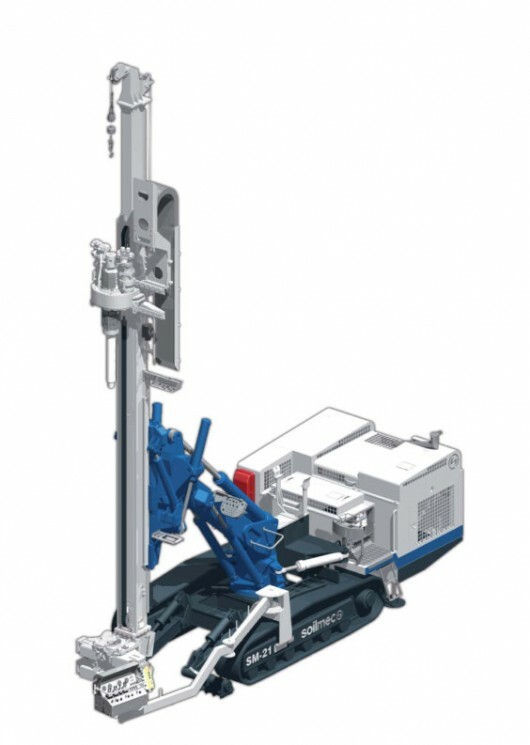 The Soilmec SM-21 is a multipurpose drilling rig. Its modular design is engineered for the execution of: Micropiles, Tie-backs, Jet-grouting, Anchors, Water wells. The rig is fitted with proportional, hydraulic servo-assisted controls so that drilling and positioning operations become easy, precise and smooth. The new hydraulic design optimizes the usage of the rig keeping the running cost down and powering any utility whenever required.